The Native Village of Savoonga is located on the northern coast of St. Lawrence Island in the Bering Sea, 164 miles west of Nome. It lies 39 miles southeast of Gambell. St. Lawrence Island is about 145 km (90 miles) long and 13-36 km (8-22 miles) wide. It is thought to be a remnant of the Bering Land Bridge. When the Alaska Native Claims Settlement Act was passed in 1971 Gambell and Savoonga opted not to participate therefore the island is jointly owned by Gambell and Savoonga. Access to the island is solely by plane and by boat. Its population is about 900 and is a traditional Siberian Yupik village with a subsistence lifestyle based on walrus and whale hunting. Savoonga is hailed as the “Walrus Capital of the World.” Whale, seal, walrus, and reindeer comprise about 80% of their diets. Winter has not arrived until the ice comes, so we have not had winter in three years. 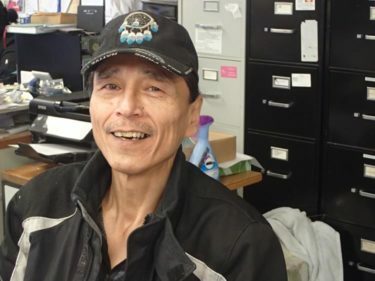 Delbert has been on the steering committee since 2014 and is the current president of the Native Village of Savoonga. Verna has been the community research assistant since September 2012 when Savoonga was added to the Bering Sea Sub-Network. 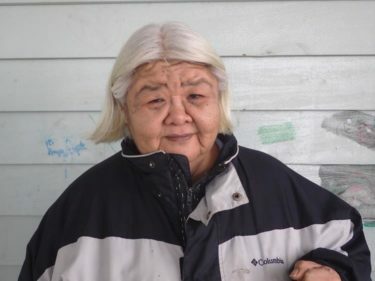 She was born and raised in Savoonga, Alaska where she is currently raising her son. She spends her time picking lots of berries and greens, digging for ivory, and gathering sea peaches in the fall. She sometimes volunteers for the City of Savoonga, Head Start Preschool and the New Year’s Games.